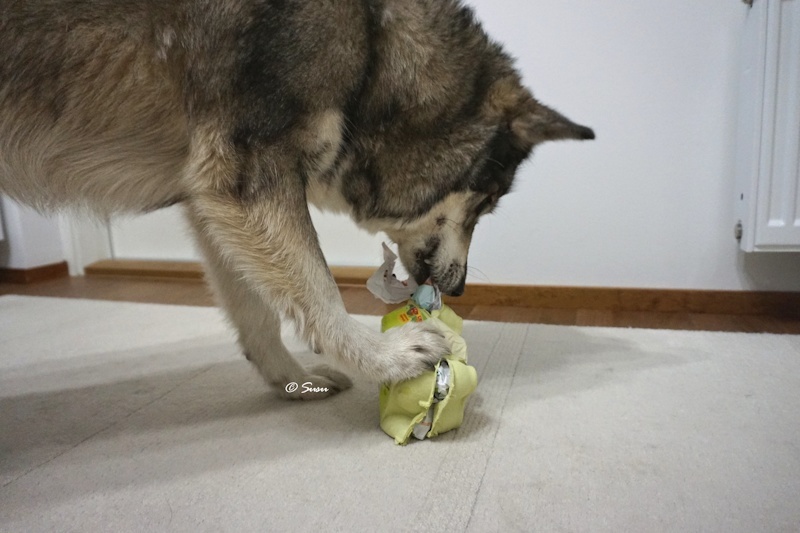 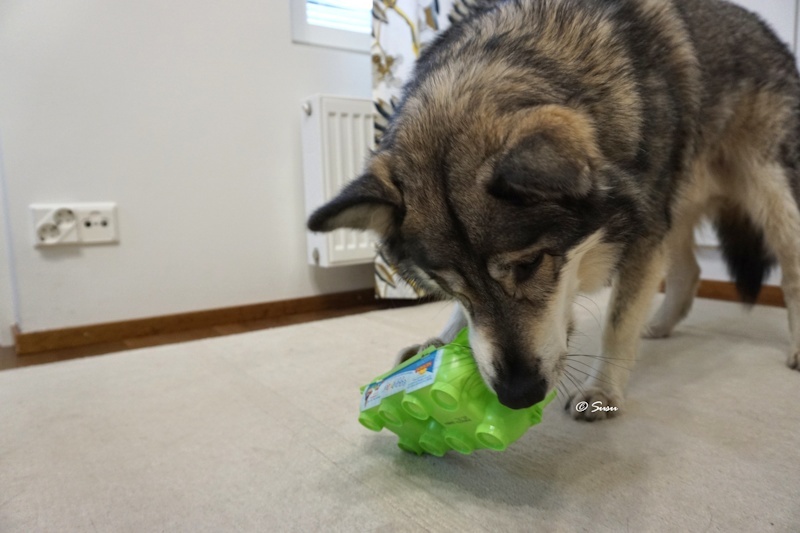 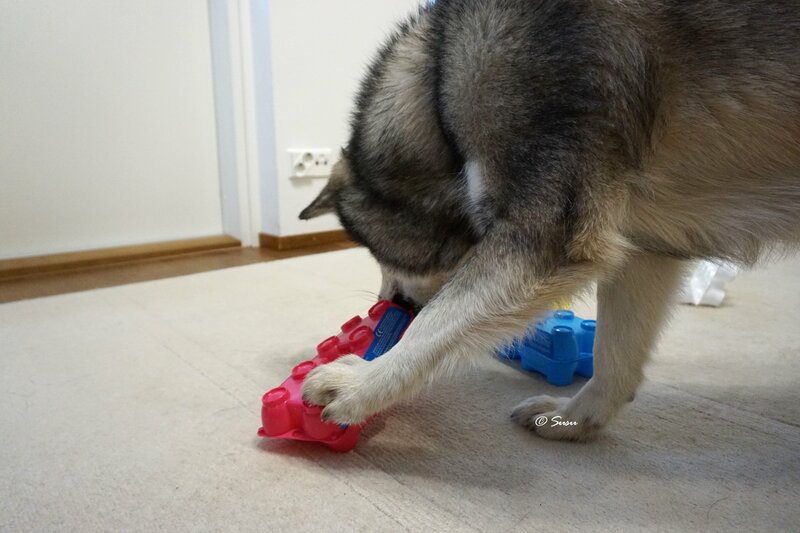 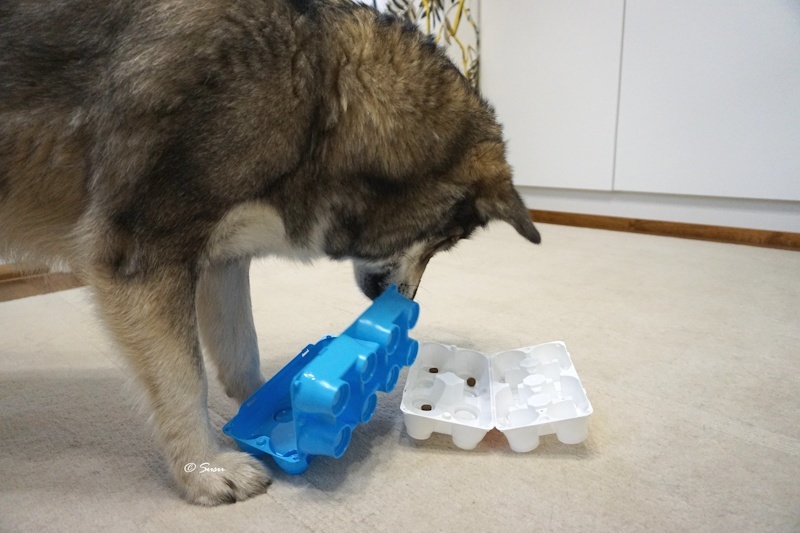 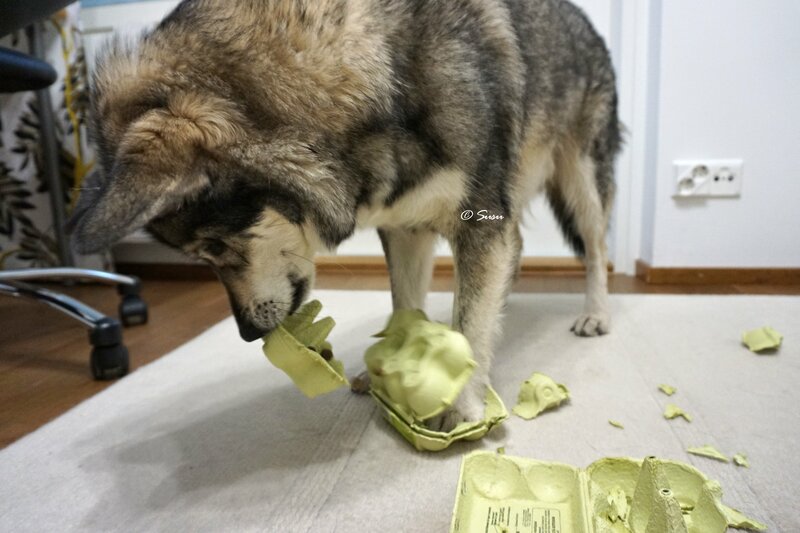 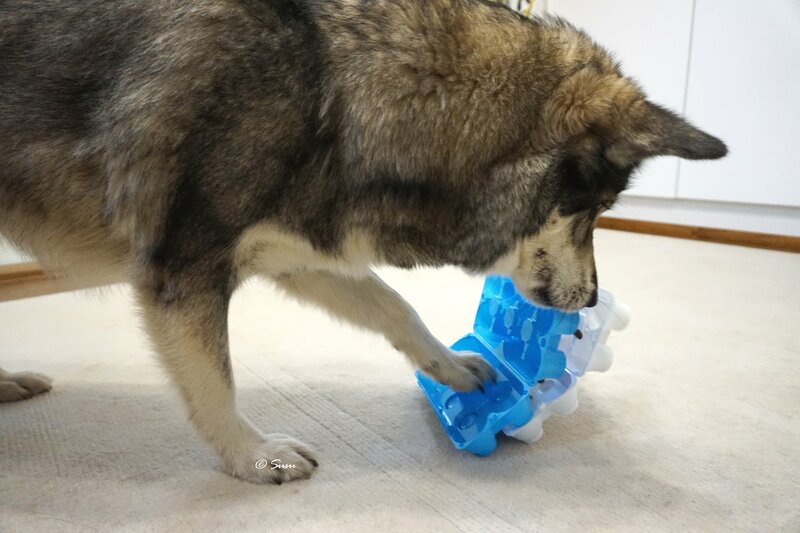 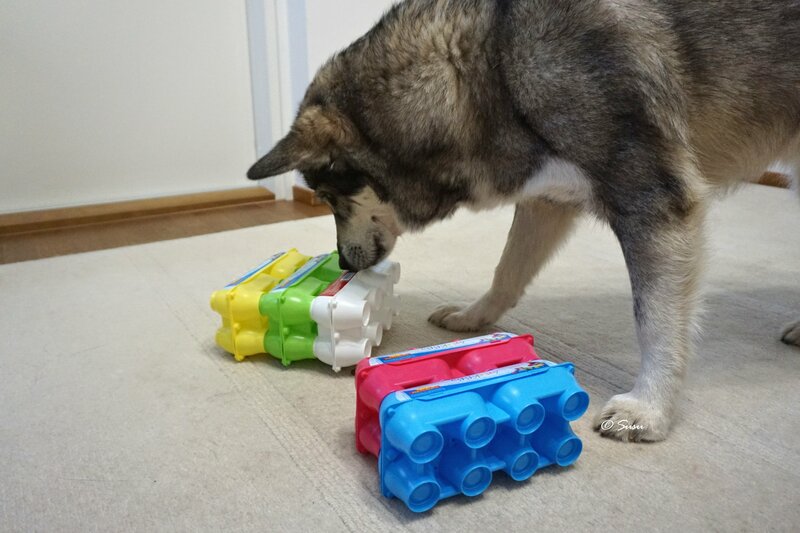 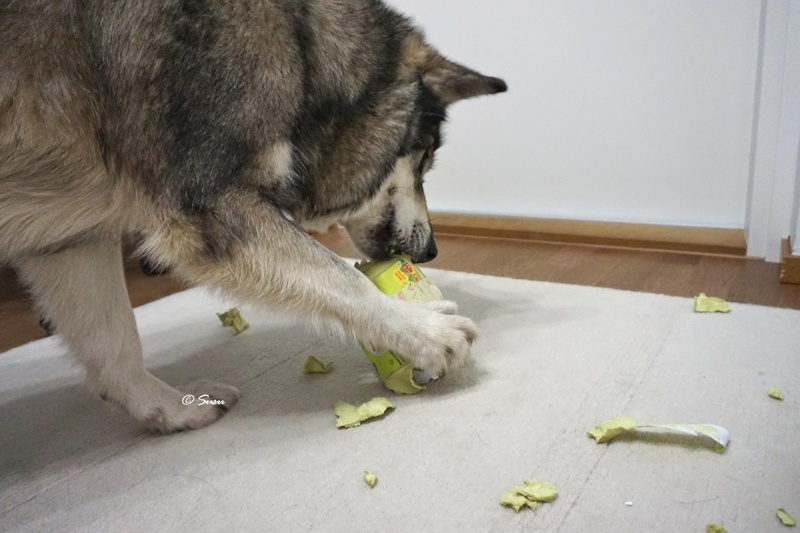 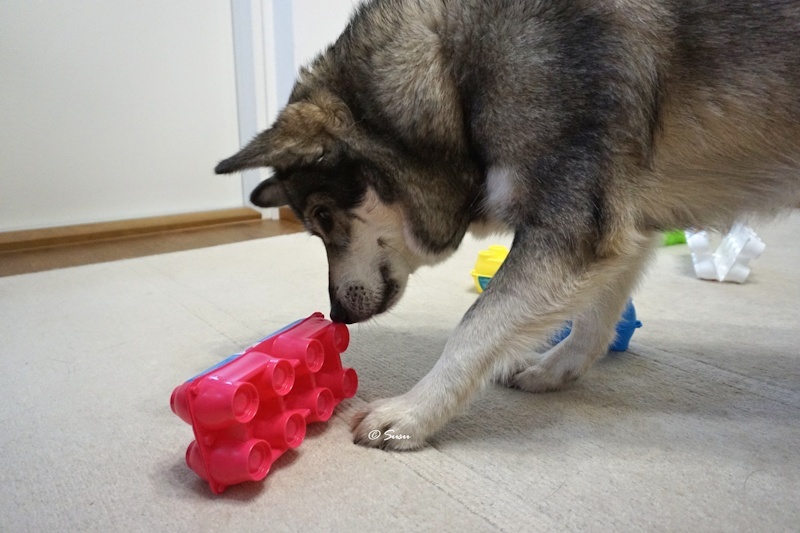 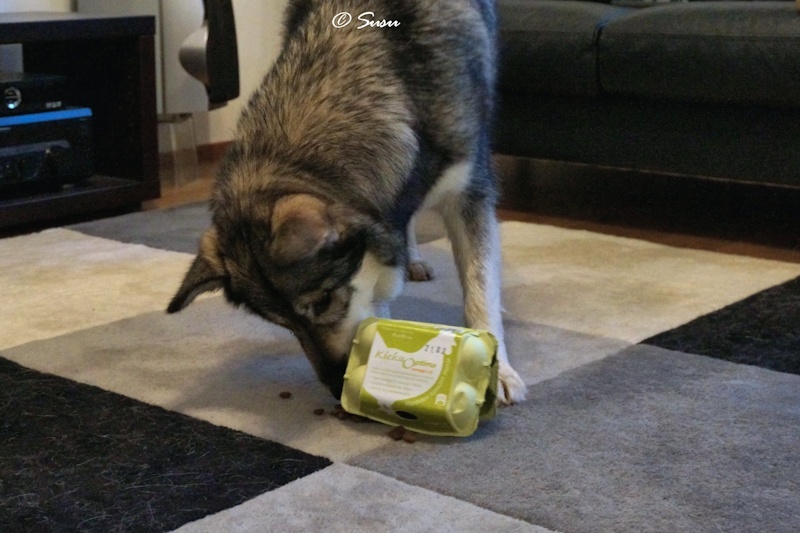 Put any food or treats inside an egg carton, close it and give it to your dog. 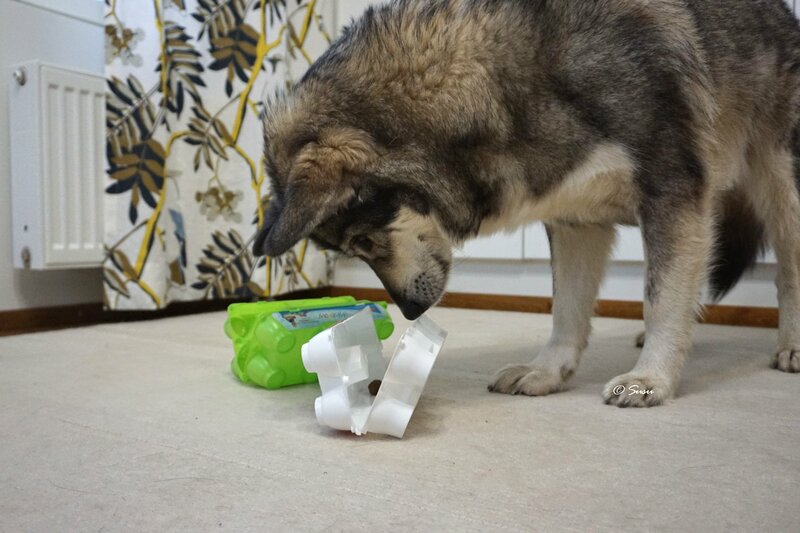 If this too easy for your dog, you can secure it with some masking tape. 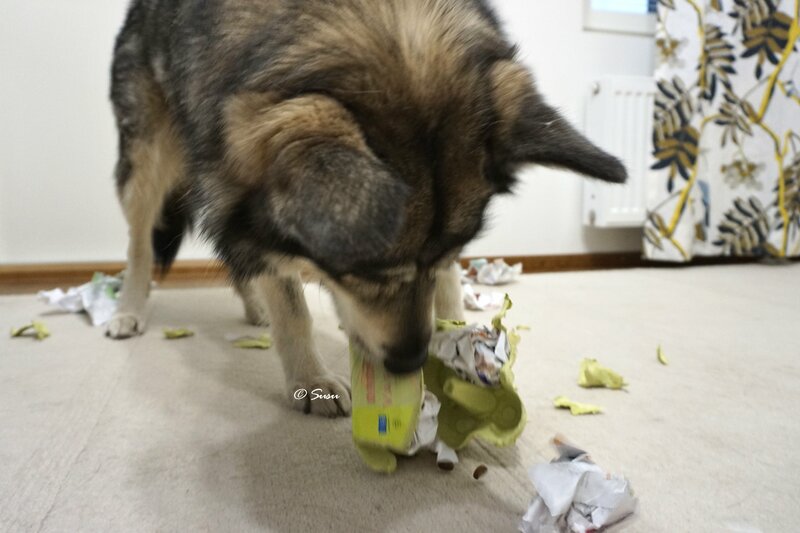 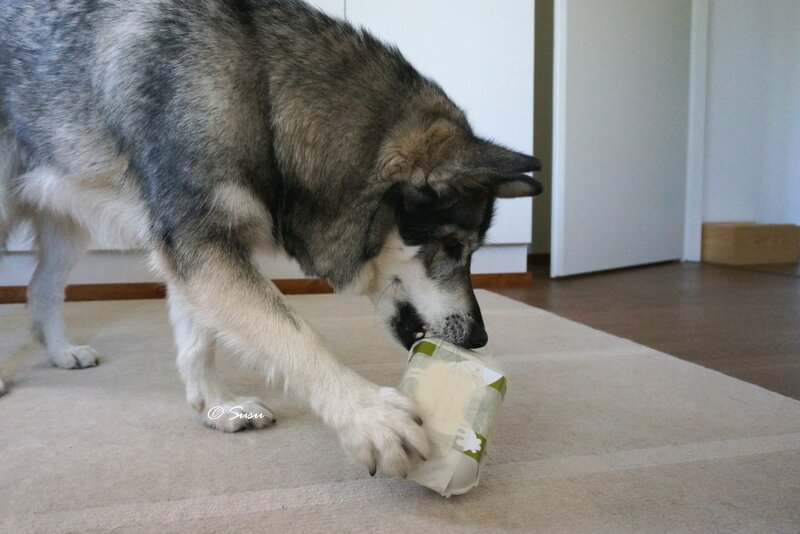 It takes Miki about 1-2 minutes to get the treats out from a taped carton. 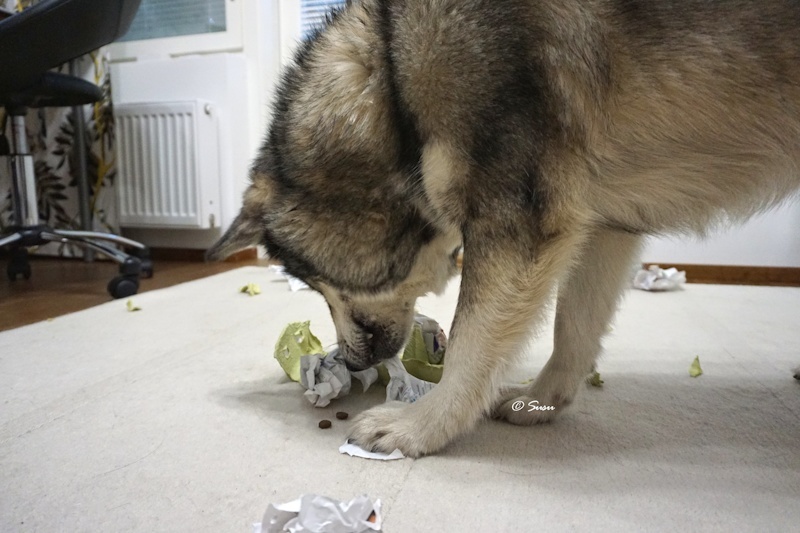 You can also make paper balls and fill a carton with them. Or you can push the paper balls to the holes beneath the carton. 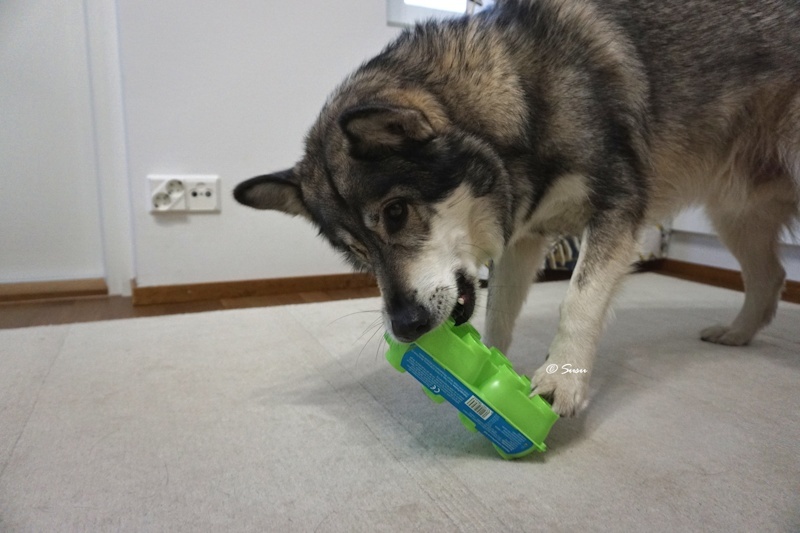 It took Miki about 4 minutes to get the treats out. 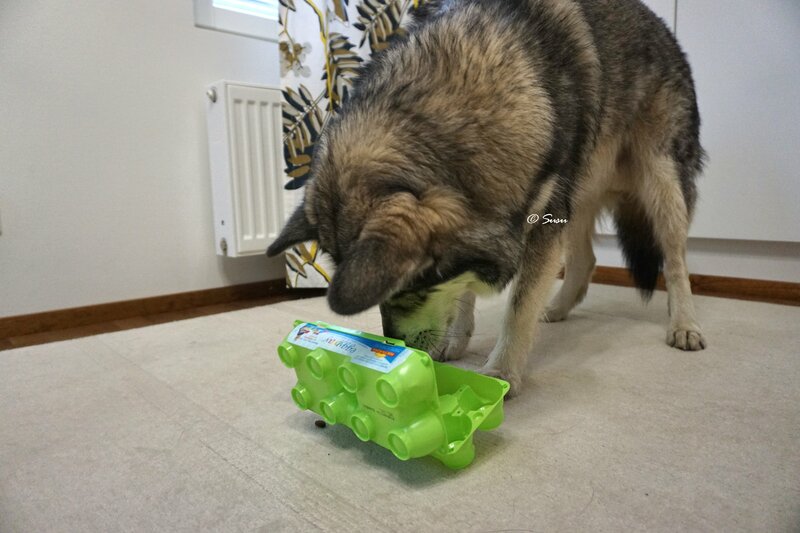 For this game you need at least two similar cartons. 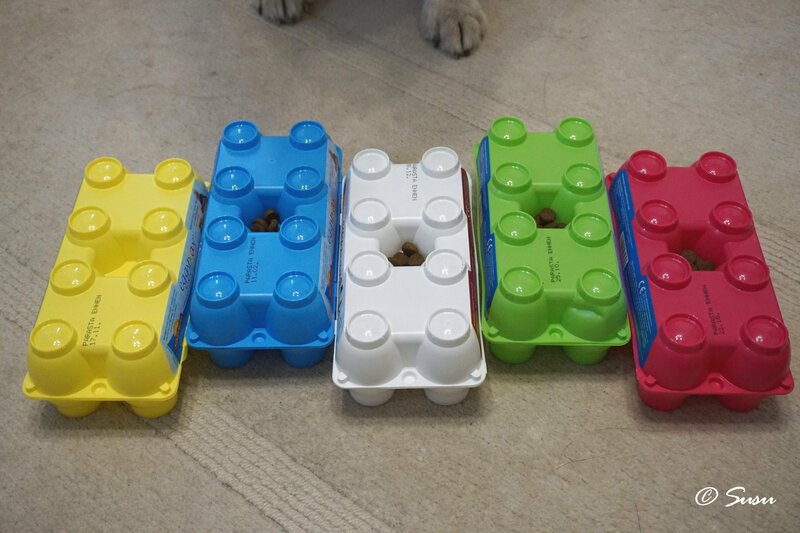 I opened three cartons, put some kibble between them and then I placed them on top of each other. 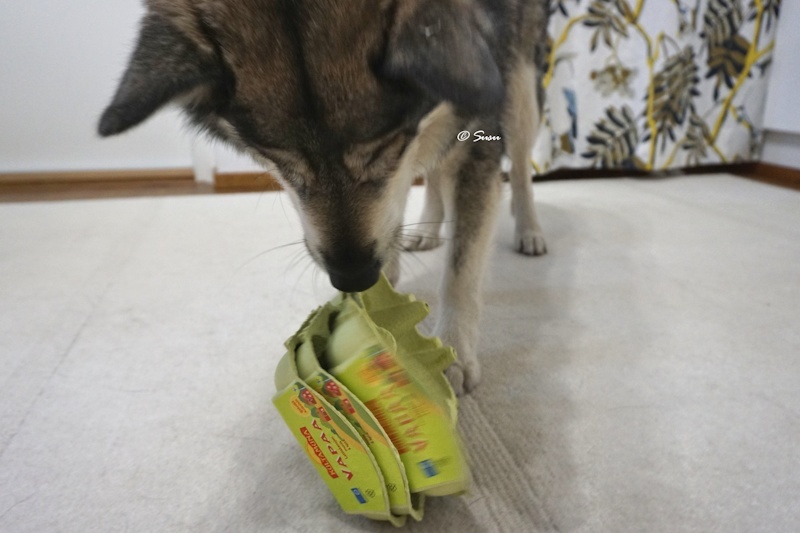 The cartons fit quite tightly to each other and the package is quite durable. 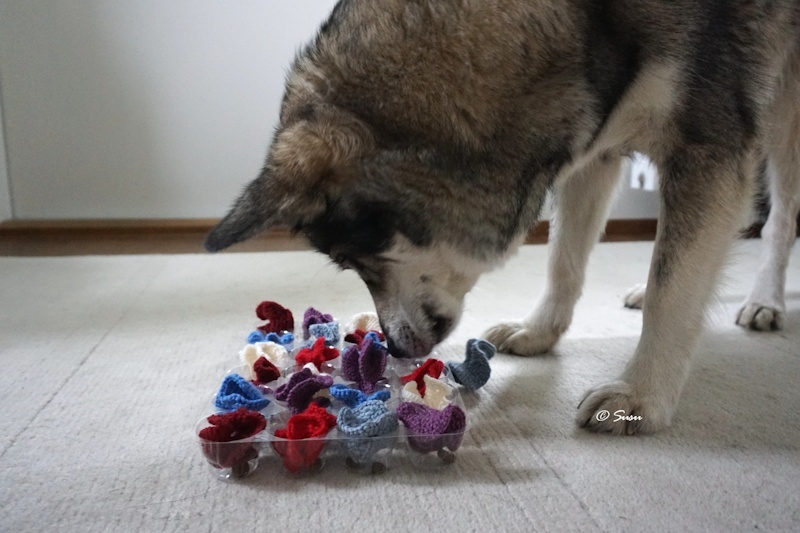 It took Miki about 3 minutes to get the treats out. 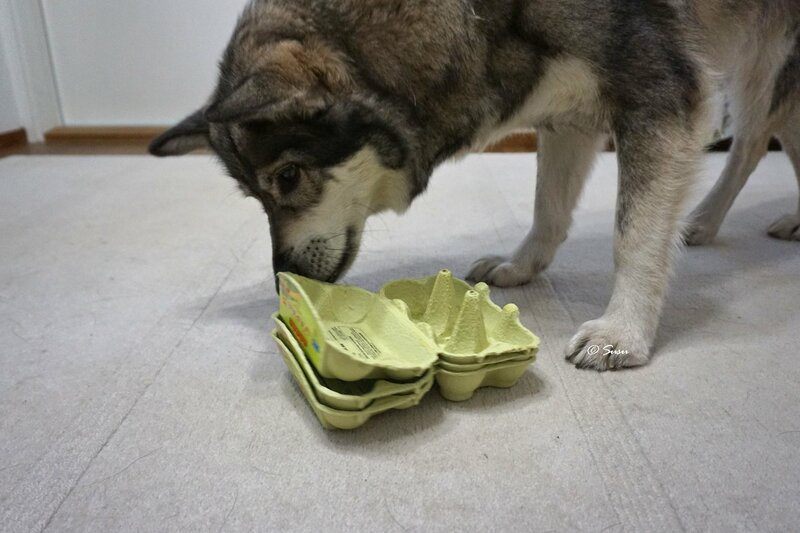 I’ve also given these plastic egg cartons to Miki. 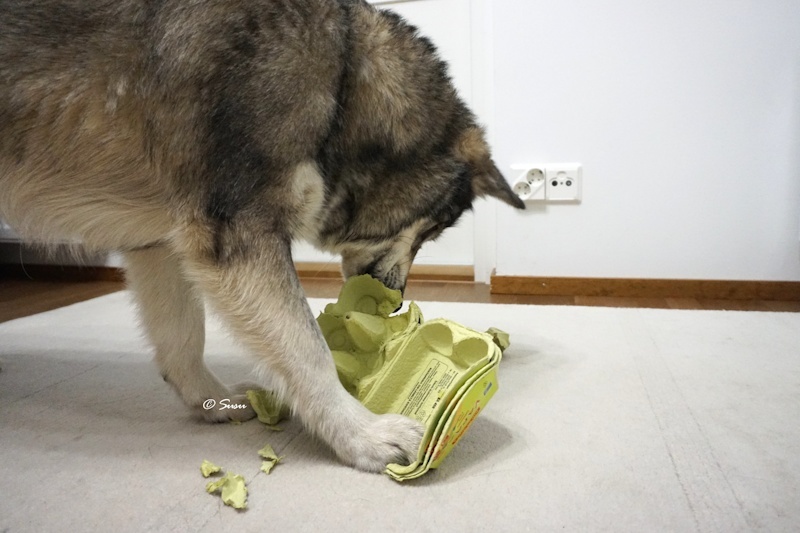 If your dog tends to eat something inapproppriate, you may not want to give these plastic cartons to your dog. 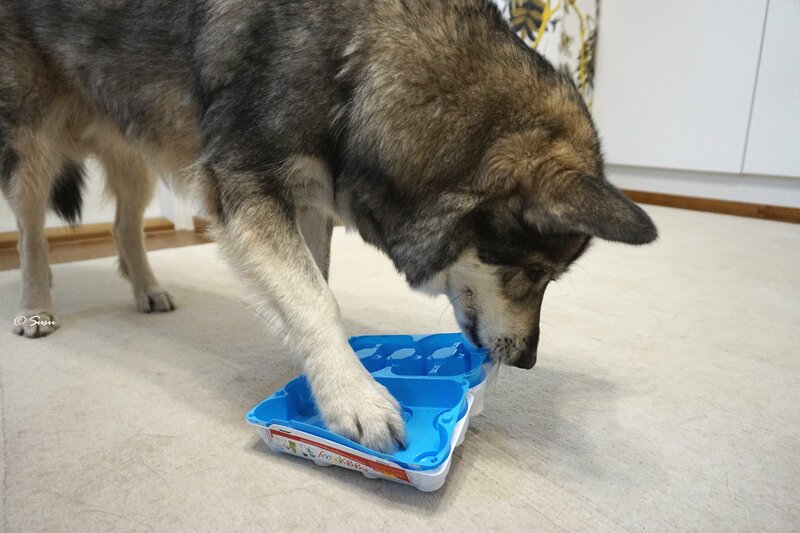 Miki doesn’t normally eat anything that he’s not supposed to eat, so I know Miki isn’t going to eat any plastic pieces that might brake away from the carton. 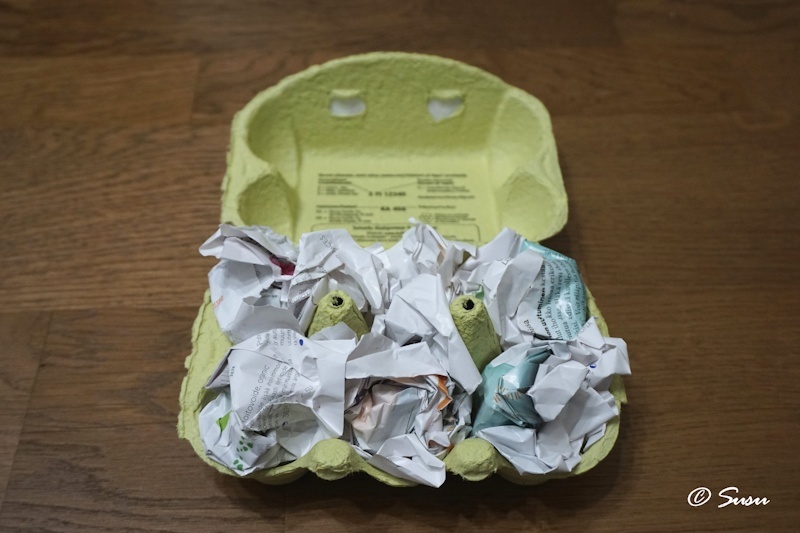 You need a larger carton, for example a plastic tray from easter egg package for these games. 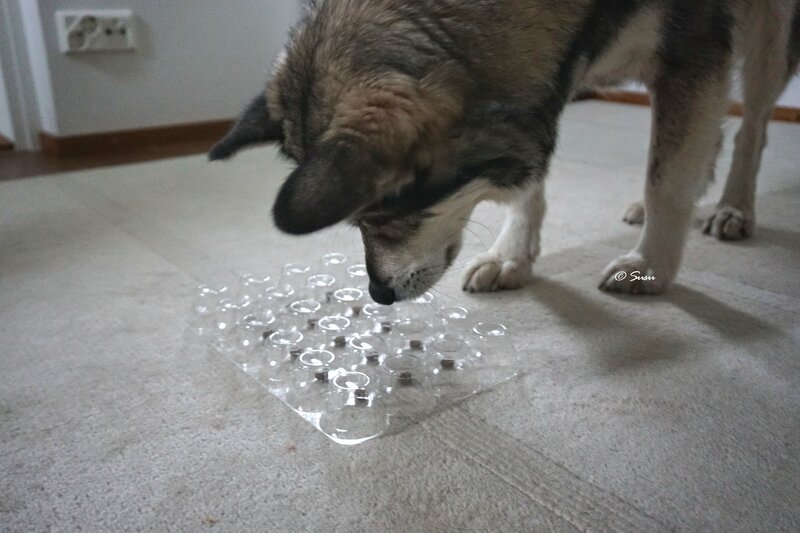 At first I turned the tray upside down and I put some kibble on the holes of the tray. 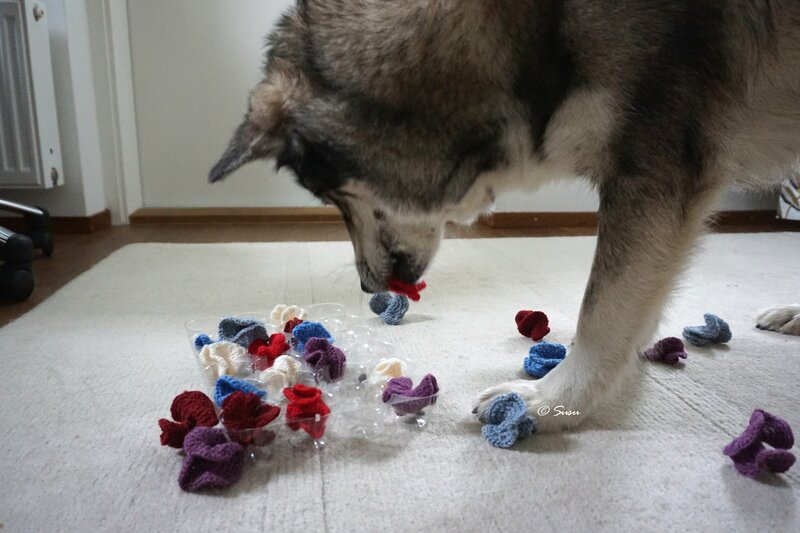 Later on I put small corals as obstacles. 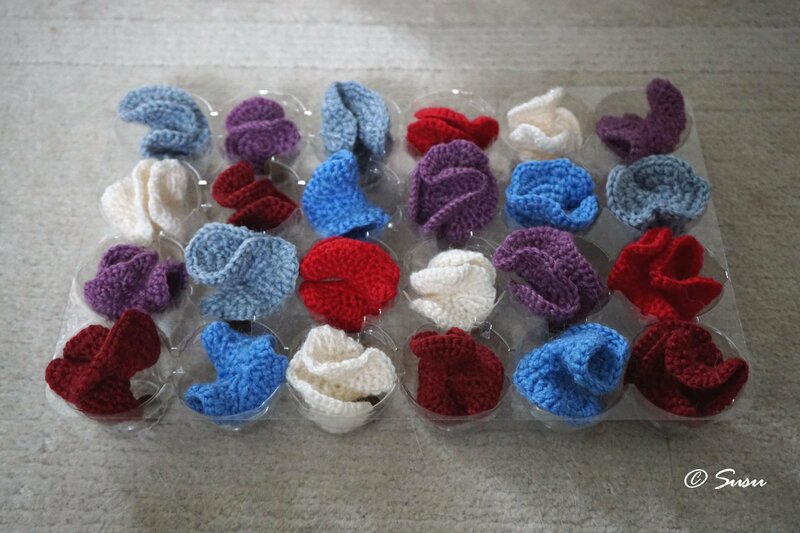 Learn how to crochet corals in here.